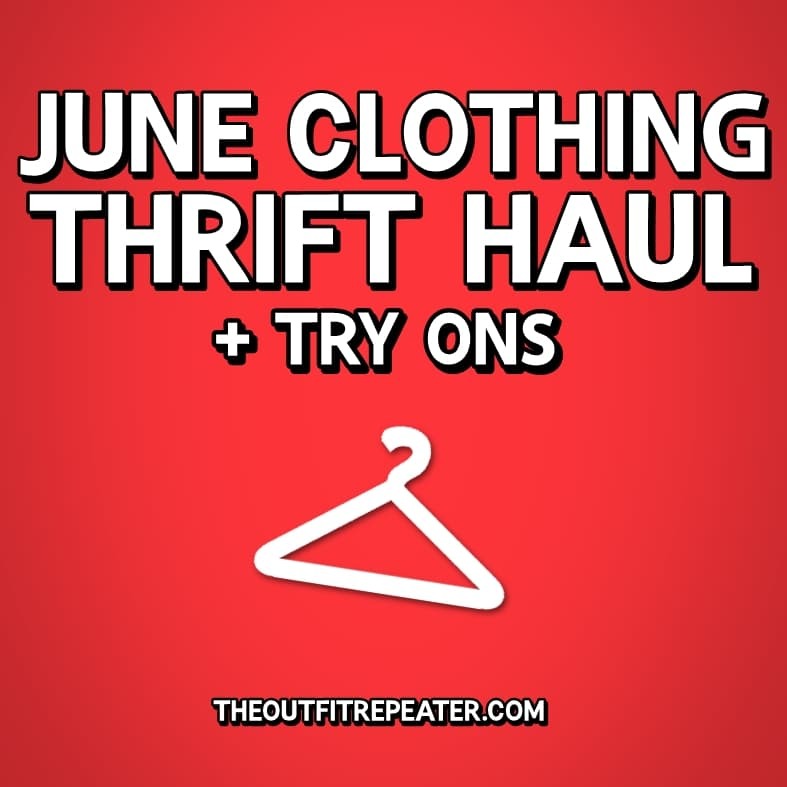 Instead of a June monthly thrift haul, I’m sharing just the clothes I thrifted for the entire month. Never expect the expected with me! 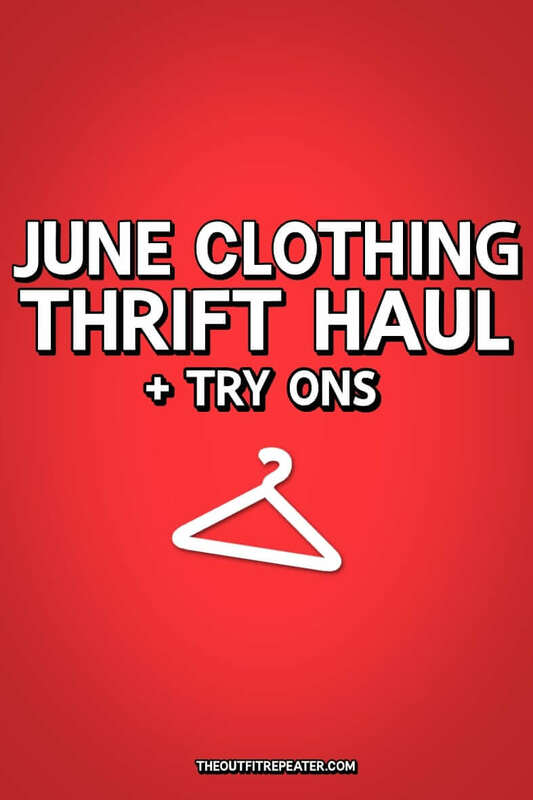 While I did thrift a lot this month (I can’t even count how many 50% off sales I hit up) I feel like I really scored in the clothing department so I chose to share only those in my monthly thrift haul round-up… with try-ons, of course! 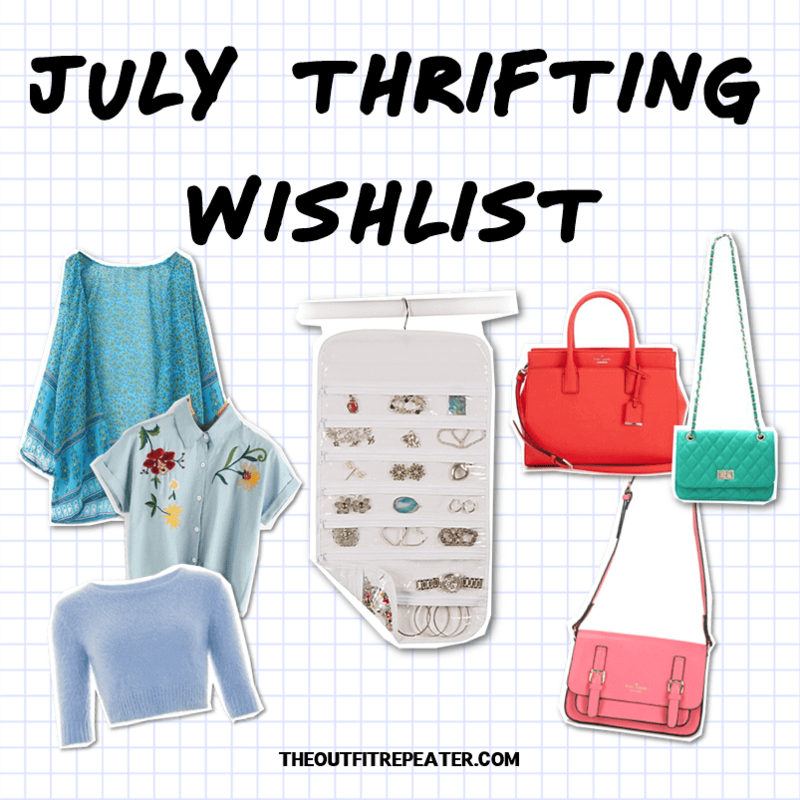 Before I share my upcoming thrifting wishlist for July, I want to point out a few successes I had in June. The first being a denim jacket I wished for last month. Next is a small wallet I wished for in April. And finally a pink coat that was actually sitting on my Pinterest wishlist. Oh and also a white denim jacket that I hadn’t post about yet. Do I sound like an overachiever? Really, I’m just excited! And now here’s what I’m hoping to find in July along with a little explanation of why. Blue shirts. Why are there no blue clothes in my closet outside of goofy graphic tees? I need to fill that void ASAP. Jewelry organizer.. for my flair! They’re getting so cluttered in my drawer. I need to SEE them! Colorful purses. I want my purse collection to resemble a rainbow!